Fantasia fans are simply the best available today. They are completely silent in operation and come in a variety of styles and finishes for use in almost every room in the home. 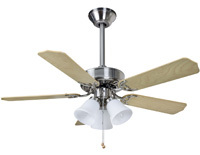 Fantasia are so sure of their fans that all of their ceiling fans carry a comprehensive 10 year guarantee. We only supply Fantasia products because they are the best fans and fan lights available. They are available in a complete range of different finishes so they complement almost every type of decor. 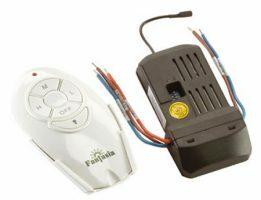 Pair up these excellent fans with a remote control system and they become a perfect combination that is both convenient as well as being practical. What more could you ask for? The full range of fans can be used in every room in the house and a couple can be used in the bathroom. Traditionally the conservatory is the most associated with fans for obvious reasons. Most conservatories contain a lot of glass to let sunshine in, along with the sunshine comes a great deal of heat. A conservatory fan is the ideal way to create a cooling breeze on those hot summer days. 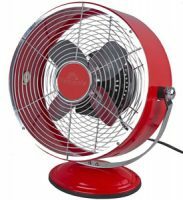 Because of their renowned silent working, they make trying to keep cool in any situation very easy, try using one in the bedroom on hot summer nights or in a kitchen. They even work well for a living room as they won’t spoil your enjoyment of watching television or listening to music. We supply a wide range of fans from Fantasia, including kits with or without lights in a variety of sizes and finishes, so choosing one to fit your room size and style is easy. 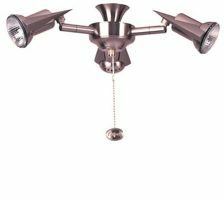 In addition, their accessory range allows you to theme the room by including wall lights and fan controls in the same finish. 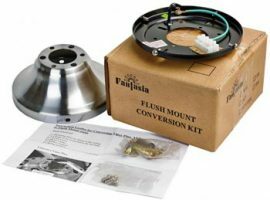 If you require any advice on Fantasia fans, kits or accessories or have any other enquiry, please telephone 0151-650-2138 or contact us.